Home Issues Politics Can Albania and Greece operate on reciprocal basis? Can Albania and Greece operate on reciprocal basis? The decision to evict the church from the building was based on a 2002 court order that had not been enforced for years. Nevertheless, the forceful eviction attracted the attention of the media and public as it was badly handled. In one of the scenes, one of the priests actually jumped on a policeman, which goes to show the feelings and gravity of the situation which was created by the event. The Albanian Autocephalous Orthodox Church is in theory an autonomous Albanian Church. In practice, it is headed by Greek bishops, who are often perceived by the local public as acting in the interests of the Greek government. However, I am not here to talk about this incident as I do not have knowledge of the veracity of the claims made by both parties, I just wanted to talk about the Albanian-Greek relations. What caused a greater stir from this whole event, which was of interest to most Albanians, was the repeat involvement of the Greek government in our internal affairs. In short, the Greek government’s reaction came in the form of a protest note made by their ministry of embassy/ministry of foreign affairs and it even escalated to a complaint against Albania before the European Union. The other reaction, which is most disturbing, came in the form of unfair treatment toward Albanian immigrants traveling between Albanian and Greece, in this case toward Greece. This is a recurring issue where the Greek border police regularly turn down Albanians for “irregularities” with their papers or lack of “something” which impedes them from traveling to Greece. The list of such “issues” is long, but the main problem is the fact that Greek border authorities have used this to literally persecute and discriminate Albanians on many different levels. They have even gone so far as to prevent Albanian journalists from entering Greece in retaliation for their reporting on such issues with their nationals. 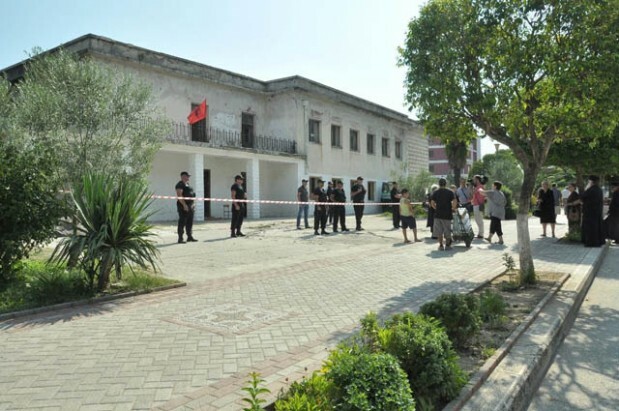 The recent incident in Tepelene turned out to be another “justification” for discrimination and ill-treatment of Albanian immigrants and travelers. However, this time it was different! The Albanian border authorities decided to start hindering Greek nationals from entering Albania for lack of proper documentation such as official invitation, hotel reservation, etc., which is what happens regularly on the Greek side of the border. This was the first time in recent history and brought about the quick normalization of the situation on the Greek side of the border. However, the situation is much more complex than that and the hope is for the new Rama government will push harder for better relations between both countries. Previous articleWhat to do about etiquette in Albania?